Whitehorse Trail in Arlington, WA–I need to borrow a mountain bike for this one but I’ll get there. I’m hatching plans to go ride my bike in Snohomish County. It’s important. First, the back story. The Centennial Trail has been on my list for a while. 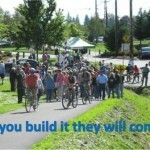 In more ways than one, you might say: Once upon a time my advocacy efforts were dedicated to the North Idaho Centennial Trail Committee, back when I lived in Post Falls, as a companion and connection to the Spokane River Centennial Trail in Spokane County. So I rode the North Idaho Centennial Trail, then the Spokane side. 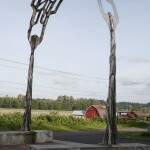 Then I moved to western Washington and discovered the existence of yet another one: the Centennial Trail in Snohomish County. It’s been on my list for quite a while because of the many recommendations I’ve heard. And then the terrible mudslide hit along Highway 530. Both yesterday and today increased my determination to get my bike up to Snohomish and ride. Yesterday morning at the first meeting of the Governor’s Blue Ribbon Task Force on Parks and Outdoor Recreation, Gov. Jay Inslee opened by asking us, in addition to the charge laid before the task force, to consider how we might give special attention to Snohomish County. It offers tremendous recreational opportunities and tourism is the third largest sector of the local economy. This morning in the Transportation Policy Board meeting at Puget Sound Regional Council, we considered a proposal to direct federal funds to Snohomish County. Snohomish County Council members Ken Klein and Terry Ryan and Arlington City Council member Debora Nelson all spoke movingly about the way Arlington, Oso, and Darrington are working together in the finest tradition of American community spirit to recover. I shared the governor’s remarks along with our efforts at Washington Bikes to share information with bike travelers looking for great places to ride. I pledged our commitment to highlight Snohomish County as a destination, said I’m planning bike trips there, and asked everyone in the room to consider a trip to Snohomish County to spend money in the local economy as an immediate way of helping them recover. I invite you to join me in planning your own trip to Snohomish County and then sharing your riding experiences with us. We’ll feature your pictures, video, blog post, maps, reviews of restaurants and places to stay–anything you can do to help attract others. If you’d like to participate, either by telling us about your ride or by receiving updates from us when we have bike travel information to share, fill out the contact information below. You’ll be making a difference for Snohomish County, and thus for all of Washington. 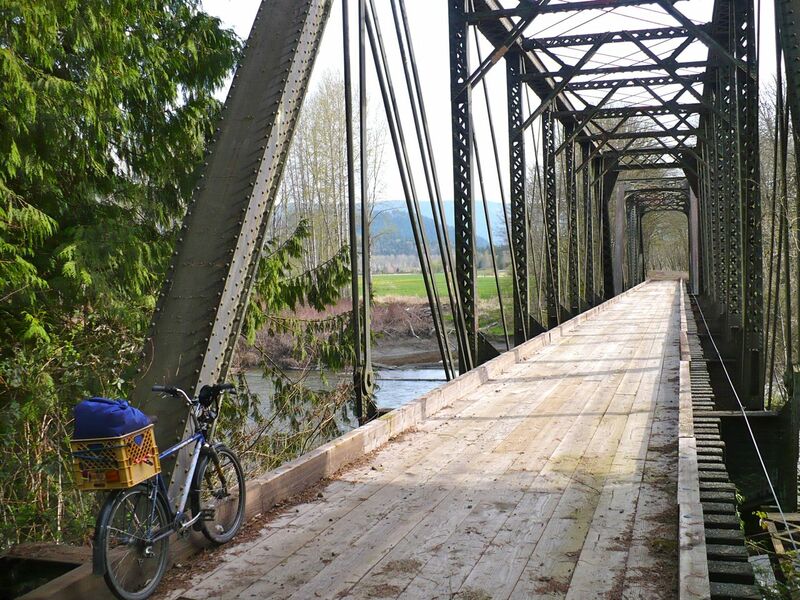 If you’ve already ridden in Snohomish County, give us your recommendations in the comments below. If you haven’t, will you start planning a trip now? 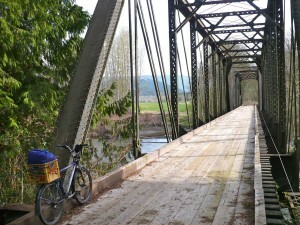 What types of information do you want us to provide to make your bike visit to Snohomish County fantastic? This article was posted in Adventure, Arlington, Darrington, News, Oso, Snohomish County, Tourism, Travel. Bookmark the permalink. Follow comments with the RSS feed for this post. Both comments and trackbacks are closed. I was hoping to go ride the Centennial Trail this weekend due to the excellent weather forecast. My plan was to take transit from Seattle up to near the northern terminus then ride back to the city, but from Google’s transit directions it seems that the weekend is devoid of ways to take transit up there. 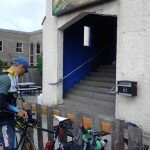 Happen to have any suggestions on how to get up there on the weekend from Seattle, other than biking a full ~140-mile round trip? The best alternative I can think of is taking the bus to Everett, cutting over to the trail, do a round-trip on the trail itself, back to Everett, bus to Seattle. Adam, sorry we didn’t see your question in time to give you some suggestions! Transit service definitely expands bike-riding access, which is something we constantly share with transportation decision-makers and funders. Did you end up going and how did it work out for you? Lots of good rides up here! I look forward to seeing your other posts about Snohomish County. Thanks, Astrid! What are your favorite rides?